Congratulate this year's graduate by treating them to a gift with a gator connection. Choose from the following ideas, brought to you by talented SF State alumni and faculty. Give movie-lovers a dose of action and adventure with "Transformers: Dark of the Moon," now available on DVD. Alum Ethan Van der Ryn (B.A., '85) earned an Oscar nod for his work as supervising sound editor on this third film in the Transformers series. 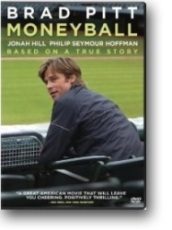 Oscar-nominated alumni talent also features in "Moneyball," which follows an Oakland A's manager who adopts game-changing tactics to rebuild his small-market baseball team. Alum Steve Zaillian (B.A., '75) was nominated for Best Adapted Screenplay for the film, which is out now on DVD. Pick up a gift that will inspire and inform graduates as they embark on their career path. "Breaking into the Lab," by Provost and Vice President for Academic Affairs Sue Rosser, offers a candid look at the barriers and biases still faced by women in science. The book shares examples from Rosser's own career, interviews with successful female scientists and practical advice for women researchers and their mentors. Another female scientist shares notes from the field in "Dolphin Diaries: My Twenty-Five Years with Spotted Dolphins in the Bahamas. "Researcher Denise Herzing (M.A. 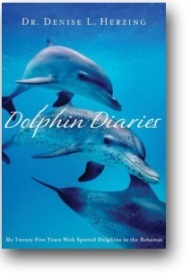 '88) chronicles the highs and lows of her work with wild dolphins, including fascinating findings on dolphin behavior as well as a personal account of life at sea. Give aspiring journalists a glimpse behind the news with the film "Deadline Every Second," out now on DVD. Each day, more than a billion people see Associated Press photographs in the news. Professor of Journalism Ken Kobré's documentary follows 12 of the photographers who capture those images, including photojournalists at work in such locations as Wall Street, Haiti and Jerusalem. Budding filmmakers will appreciate the straight talk and practical advice of Joseph McBride in "Writing in Pictures: Screenwriting Made (Mostly) Painless." In his new book, the associate professor of cinema and seasoned screenwriter gives newbie scriptwriters the tools they need to write in their own voice and offers tips on how to break into professional filmmaking. For a gripping page-turner, choose "Turn of Mind,"an intriguing murder mystery about a suspect suffering from dementia. This debut novel comes from Creative Writing Lecturer Alice LaPlante, who was inspired by her mother's struggle with Alzheimer’s disease. 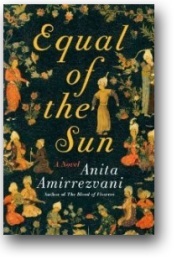 "Equal of the Sun" transports readers to 16th-century Iran, where a powerful young princess is thrown into the political spotlight following the death of her father, the shah. This second novel from Anita Amirrezvani (M.F.A '09) is now available for pre-order on Amazon.com. Treat food-lovers to a recipe book with a difference. 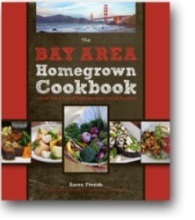 "The Bay Area Homegrown Cookbook," compiled by "chef-ecologist" and alumnus Aaron French (M.S. '04), profiles 26 of the Bay Area's top chefs. Culinary masters from such restaurants as Quince and Nopa discuss their relationships with the farms that supply their kitchens and share favorite recipes that use local, seasonal ingredients. Give the SF State alum an Alumni Association membership and they will enjoy lifelong benefits including Library and Career Center access, discounted medical benefits and opportunities to reconnect with fellow gators.